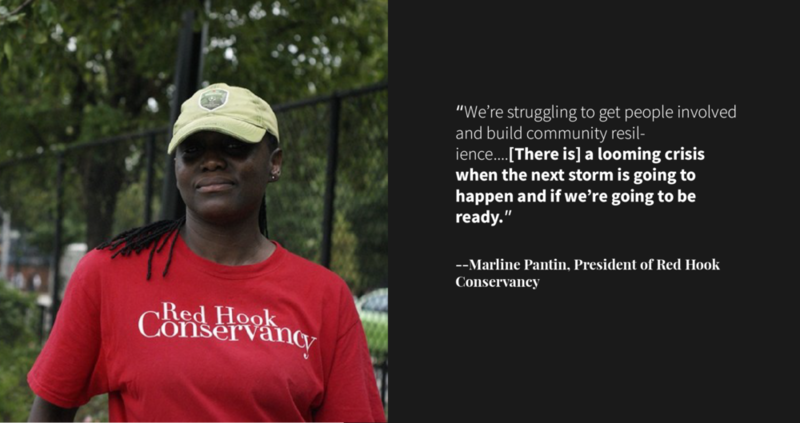 Community members of Red Hook are unaware of local resources in disaster scenarios. 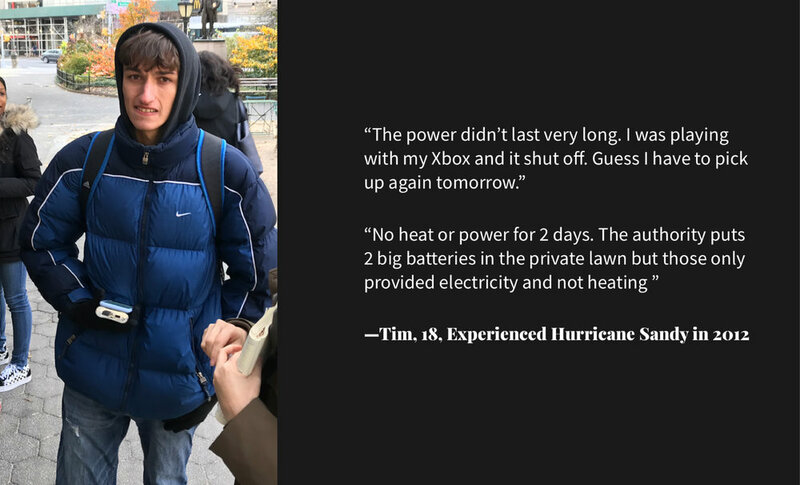 AFTER is an AR-enabled mobile application for high school students in Red Hook to learn of their local support services after a storm/hurricane attacks. 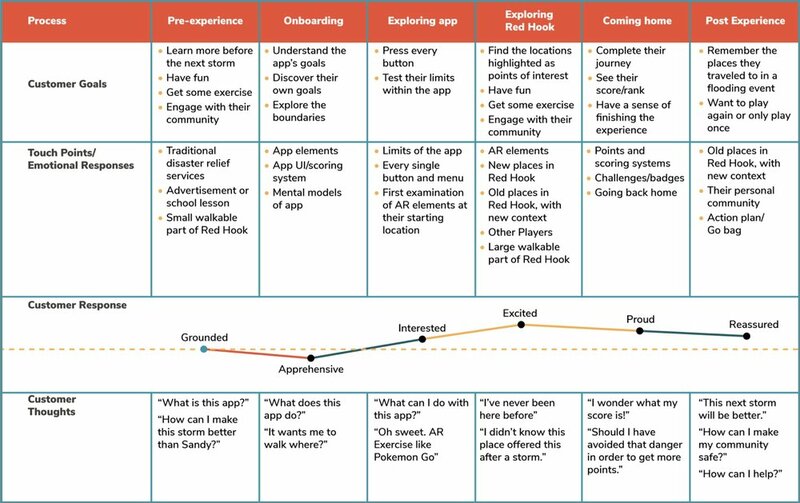 Through kinesthetic learning, it teaches students where local resources can be found in a Pokémon Go-like AR app. 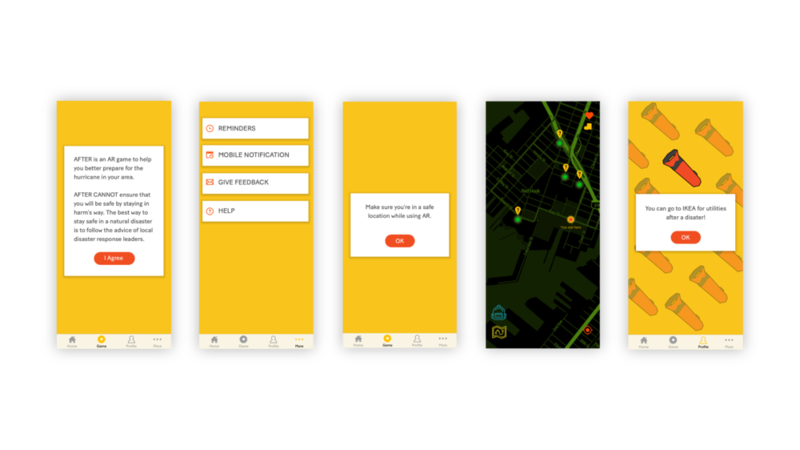 In the app one goes to different places in the community where certain emergency resources can be found after an emergency event. To empower students to become leaders in their communities and personal families in an emergency. Lack of preparedness and physical resilience in Red Hook. Performance of required emergency drills happen only during school hours. Individual households are responsible to organize their own disaster plans. Emergency drills at schools can be tedious, and only simulate an school emergencies, which don't include hurricanes. Kinesthetic learners may account for as much as 45% of the population. How might we use kinesthetic learning to teach high school students about local support services after hurricane attacks? 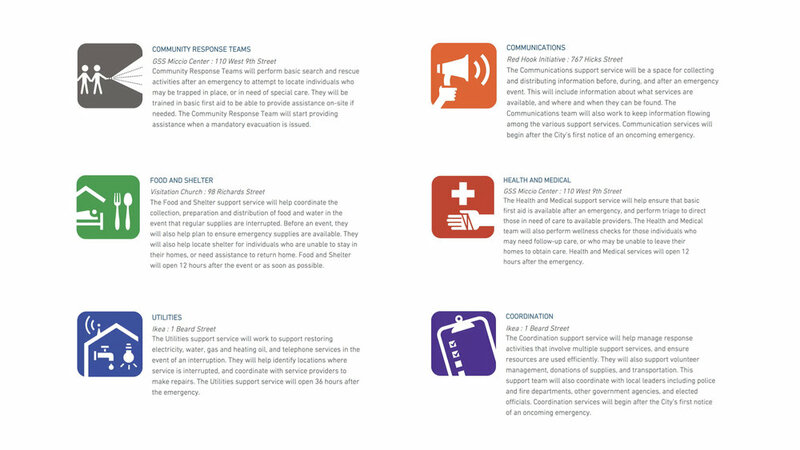 AFTER gamifies the otherwise dull experience of disaster drills with kinesthetic learning, encouraging high school students to explore local support services that focus on providing help in the critical 72 hours after an emergency. The onboarding establishes a disaster scenario, asking players to provide critical information such as where they live and how many people are in their household. Instruction of the game. The user need to follow it and play the game. User follow the arrow and get to familiar with the way to utilities. The destination where the user can get the utilities support in the real life. Tap on the item(s) to collect in the game. 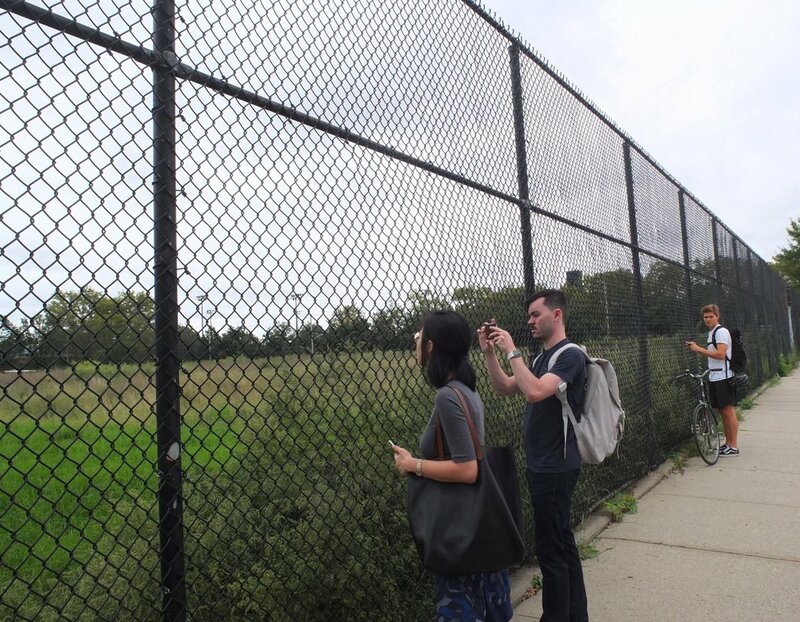 We paid a visit to Red Hook and conducted interviews and questionnaires for Red Hook Residents. Getting to know their local organization, Ready Red Hook and services they provide. With the question “How might we make someone go from A to B?” We conducted a group brainstorming and card sourcing. Then we designed the initial version of way-finding game and held an indoor playtest with four participants to learn how people think about the setting and interact with prompts. Users wanted to have a physical reward in the real world as a certificate of accomplishment. Users wanted see other people’s achievements in the game. Users liked the idea of having a ranking system. Sound guidance was very important for clues and prompts. Poster of the app and the AFTER T-shirt. In collaboration with Ready Red Hook, users can get a t-shirt with AFTER logo as a gift for accomplishing the game that also could help build a stronger community. 1) Create an open-source tool for feedback with communities in the path of climate change. 2) Create a tool which can be customized for anywhere, not just Red Hook. 3) Engage the next generation in communal action around climate change.